The power of the Crown was greatly increased under Elizabeth mainly through the effects of patriotic feeling for the English arms and the English church. The judges and the members of the Court of Star Chamber were appointed by the Crown, and Elizabeth occasionally levied custom-duties not voted by parliament. In the Bates case the court supported the imposition on currants as legal. James increased the claims of the Crown to the right of levying special customs, but parliament maintained that in ordinary times the King should live from his own possessions and the Tunnage and Poundage revenues. James complicated matters by trying to force on England conformity to the Episcopal church. The Puritans refused to accept a number of the church ceremonies, such as the use of the surplice. Charles I came to the throne in 1625. He was anxious to carry war against Spain but Parliament delayed granting supplies and after attacking Charles’ favorite, the Duke of Buckingham, was dissolved by the king. The second parliament was dismissed in the same way. In 1626 Charles forced a loan from individual subjects. The payment was resisted and a number imprisoned. The judges supported the right of the king to imprison on rare occasions, but doubted his right to imprison regularly and permanently. The soldiers that had returned from France, were quartered on the people under martial discipline and this caused much complaint. The third parliament refused supplies until it finally compelled Charles to agree to the Petition of Right. This prohibited forced loans, taxes, and the like, but not customs. The movement might have ended here had not Charlestried to force religious uniformity. His archbishop Laud did not believe in Calvinism or predestination and though his party was in the minority, tried to impress his ideas on the National Church. He began, too, to introduce a number of "high church" ceremonies that increased the opposition. The king added fuel to the fire by granting a number of unpopular monopolies, and imposing fines for nominal offenses. In 1634 Charles levied a direct tax for ship-money. Payment was widely refused, but the courts decided in favor of the king. The Scots, who were Calvinists, revolted against the new liturgy and canons, and when Charles tried to invade Scotland, he found himself without funds and was forced to grant Scotland practical religious independence. Charles tried to construe the treaty to his own advantage and as war was again threatened, called another parliament on the advice of Lord Stafford. This parliament (1640) refused to grant supplies unless the king would make terms with the Scots, and was dissolved. The Scots invaded England and defeated the royal army. Charles was compelled to summon another parliament in order to get money to indemnify the Scots. This Long Parliament, so-called, enacted that parliament must be called once in three years, impeached and finally executed Stafford and Laud, enacted a law against its dissolution by the king without its own consent, prohibited the levying of customs without its sanction, and in fact began to assume the sovereignty parliament now holds. The king attempted to seize the five leading members, including Hampden and Pym. London rose in arms and the king fled (1642). Three years after the war began Oliver Cromwell came into prominence and was put at the head of the army by the Independent Puritans. The king was afterwards given up to the English parliament by the Scots to whom he had fled. He was executed in 1649. For the next ten years Cromwell ruled England. 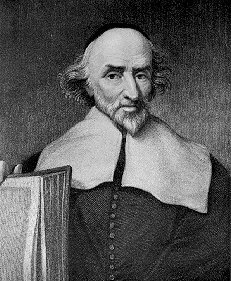 The Independent Puritan party had always been in the minority as compared with the Presbyterian Puritans and Episcopalians, and after Cromwell’s death the majority of the people recalled the Stuart dynasty. The revolution seemed a failure, but its idea of the supremacy of parliament lived and was put in the Bill of Rights when the Stuart James was banished from England and William and Mary called to the throne. We give below documents illustrating the new ideas of the time. Besides the movement toward parliament’s supremacy, the ebb and flow of victory between Puritan and Royalist drove many to seek homes outside England and greatly influenced the colonization of America. Chicago: "The English Revolution," The Library of Original Sources, Vol 5 in The Library of Original Sources, ed. Oliver J. Thatcher (Milwaukee, Wisconsin: University Research Extension Co., 1907), 392–393. Original Sources, accessed April 21, 2019, http://www.originalsources.com/Document.aspx?DocID=CQBTMFXIEZDSD32. MLA: . "The English Revolution." The Library of Original Sources, Vol 5, in The Library of Original Sources, edited by Oliver J. Thatcher, Milwaukee, Wisconsin, University Research Extension Co., 1907, pp. 392–393. Original Sources. 21 Apr. 2019. www.originalsources.com/Document.aspx?DocID=CQBTMFXIEZDSD32. Harvard: , 'The English Revolution' in The Library of Original Sources, Vol 5. cited in 1907, The Library of Original Sources, ed. , University Research Extension Co., Milwaukee, Wisconsin, pp.392–393. Original Sources, retrieved 21 April 2019, from http://www.originalsources.com/Document.aspx?DocID=CQBTMFXIEZDSD32.